On May 29, 2018, the U.S. State Department released its report on religious freedom in every country of the world for 2017. U.S. State Dep’t, International Religious Freedom Report for 2017 (May 29, 2018); U.S. State Dep’t, Briefing on the Release of the 2017 Annual Report on International Religious Freedom (May 29, 2018). U.S. State Dep’t, International Religious Freedom Report for 2017: Morocco (May 29, 2018). On January 28 nearly 1,000 people gathered at Westminster Presbyterian Church in downtown Minneapolis to support the Emergency Rental Assistance Program of Downtown Congregations To End Homelessness (DCEH). The gathering was emceed by Minneapolis Mayor Jacob Frey and joined by senior clergy from the downtown congregations (Christian, Jewish and Muslim) and two former NFL Vikings stars: punter Greg Coleman and defensive end Mark Mullaney. Testimony was offered by two individuals who had been helped by the DCEH. Attendees enjoyed delicious food from Holy Land Market and assembled dignity bags for people who are homeless (consisting of hygiene products, socks, hand warmers, food, etc.). Hopfensperger, Faith and football combine at unusual Super Bowl event, StarTribune (Jan. 28, 2018). Most of this coverage has focused on the source of the three videos that Trump re-tweeted (a far-right British political group) and the specifics of those videos: a fake Muslim attack on a Dutch boy; an extremist Muslim cleric’s destroying a statue of the Virgin Mary; and a 2013 Egyptian political clash. Surprisingly, however, another reason why this latest example of Trump’s outrageous ignorance and ineptitude should be condemned has not been mentioned. It undercuts the efforts of Islamic allies of the U.S. to combat the misuse of Islam by extremists. E.g., Specia, The Stories Behind Three Anti-Muslim Videos Shared by Trump, N.Y. Times (Nov. 29, 2017); Sparrow, Theresa May says Trump retweeting Britain First was ‘wrong thing to do’—Politics live, Guardian (Nov. 30, 2017) (video of Prime Minister’s comments); Baker & Sullivan, Trump Shares Inflammatory Anti-Muslim Videos, and Britain’s Leader Condemns Them, N.Y. Times (Nov. 29, 2017); Bilefsky & Castle, British Far-Right Group Exults Over Attention From Trump, N.Y. Times (Nov. 29, 2017). MUSLIM NATIONS LEAD ACTION AGAINST TERRORISM, dwkcommentaries.com (Nov. 25, 2017); Muslim Nations Embrace Counter-Terrorism Coalition, dwkcommentaries.com (Nov. 27, 2017). Morocco Promotes Moderate Islam with the Declaration of Marrakesh, dwkcommentaries.com (May 21, 2017). A prior post noted that as part of its tripartite counterterrorism strategy, Morocco was promoting moderate Islam that directly condemned others who said the faith justified acts of terrorism. In early 2016 this was made express at a conference entitled “Religious Minorities in Muslim Lands: Its Legal Framework and a Call to Action” that was held in Morocco’s fourth-largest city, Marrakesh. The product of the conference was the Declaration of Marrakesh. Here is an examination of this important document and of the reactions it produced. A preliminary examination of responses to the Declaration revealed a huge split in opinions about its importance and validity. A lengthier negative review was published by Andrew Harrod, author of over 150 articles online and in print concerning various political, religious, and international relations topics. He said the Charter of Medina was “little more than a tribal alliance between the early Muslim community and Medina’s various Jewish tribes. . . [regulating] blood money payments” and having provisions against religious freedom. Harrod also asserted that Christians in Morocco “face harassment and imprisonment, often called a “second baptism” and that Moroccan law prohibits a Christian wife from inheriting from a Muslim husband and bequeathing to her Muslim children.” Criticism of some of the attendees at the conference was also voiced by Harrod. The negative comments by Sheikh Michael Mumisa prompted me to examine what he says is the original source document for the Declaration: (in English) the “Framework Speech” or “Abridgement of the Rights of Religious Minorities in Muslim Majority Communities: Its Legal Framework and a Call to Action” by Shiekh Abdallah Bin Bayyah, a Mauritanian professor of Islamic studies at the King Abdul Aziz University in Jeddah, Saudi Arabia and a specialist in all four traditional Sunni schools. 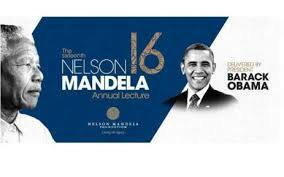 This speech is available in 16 pages in English in the Booklet on the conference website. 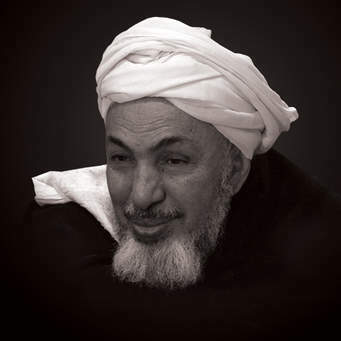 Below is a photograph of Shiekh Bayyah. Perhaps there is more substance in the original Arabic version, but I failed to see in the English translation the basis for Mumisa’s opinions . For example, on pages 08 and 09 Shiekh Abdallah Bin Bayyah with references to passages in the Qur’an asserts the following as “Values of Islam in Dealing with Others:” kindness; honor; cooperation, solidarity and rectification; reconciliation; human fraternity and interaction; wisdom; commonweal; being just with others; mercy; and peace. Others more knowledgeable about Islam need to sort through the above criticisms of the Declaration, but I find it a remarkable and praiseworthy statement that needs to be heard in the U.S. and around the world. The Marrakesh Declaration: The Conference Aims (Jan, 25-27, 2016); The Marrakesh Declaration: About (Jan, 25-27, 2016); The Marrakesh Declaration: Organizers (Jan, 25-27, 2016); The Marrakesh Declaration: Executive Summary (in English) (Jan, 25-27, 2016); The Marrakesh Declaration, The Rights of Religious Minorities in Predominantly Muslim Majority Countries: Legal Framework and a Call to Action: Conference Aims (Jan. 25-27, 2016); The Marrakesh Declaration: The Rights of Religious Minorities in Predominantly Muslim Majority Countries: Legal Framework and a Call to Action (Jan. 25-27, 2016); Marrakesh Declaration, Wikipedia; Alami, Muslim Conference Calls for Protection of Religious Minorities, N.Y. Times (Feb. 3, 2016). OIC endorses Marrakesh Declaration, MarrakeshDeclaration.org (Apr. 15, 2016); Hayward, Understanding and Extending the Marrakesh Declaration in Policy and Practice, U.S. Inst. Peace Special Report (Sept. 2016); Mumisa, The Problem with the Marrakesh Declaration, By Michael Mumisa (Shaykh), Muslimwise (May 9, 2016); Coakley, Cambridge scholar criticizes Marrakesh Declaration on Muslim treatment of religious minorities, AnglicanINK (May 11, 2016); Khan, The Marrakesh Declaration: Promise and Paralysis, Georgetown J. Int’l Affairs (Mar. 2, 2016); Szerman, The Marrakesh Declaration and a Critique of It, MEMRI (Feb. 23, 2016) Harrod, Islamic Declaration Offers Slim Religious Freedom Hop, Juicy Ecumenism (Feb. 17, 2016). Bayyah, “Framework Speech” or “Abridgement of the Rights of Religious Minorities in Muslim Majority Communities: Its Legal Framework and a Call to Action”Marrakesh Declaration, Booklet (Jan. 25-27, 2016). We were impressed by the country’s fascinating history and people, its beautiful architecture, cities and rugged Atlas Mountains, the immensity of the rolling Sahara Desert along its southern border and its current construction boom. While there we also learned of Morocco’s recent re-establishment of its diplomatic relations with Cuba, a country about which I have written a lot, and of Morocco’s membership in the African Union, both related to Morocco’s lingering conflict over the Western Sahara, which was the subject of a recent U.N. Security Council resolution, all of which were discussed in recent posts. Also fascinating was the country’s religious profile. Its population of 33.7 million is 99% Sunni Muslim with 1% Shia Muslims, Christians, Jews and Bahias. In every town the mosques’ minarets were the instantaneously recognizable tallest structures. Our OAT tour guide told us that the current king, Mohammad VI, has been leading efforts to ensure that Muslims in Morocco are not encouraged to join extremists groups like ISIS or Al Qaeda. All imams have to complete an education course at the capitol at Rabat that is organized and administered by the government’s ministry of religious affairs (The Ministry of Endowments and Islamic Affairs of the Kingdom of Morocco) and that excludes the extremist ideologies promoted by ISIS and Al Qaeda. We also were told that neither the government nor the Muslim leaders discriminate against Christians or Jews, and we visited a synagogue in Fez. On the other hand, we were told, the Christians and Jews are forbidden from preaching or proselytizing or evangelizing in public. Previously I had learned that the five “pillars” of Islam are (1) shahada, declaring as a matter of faith and trust that there is only one God (Allah) and that Mohammad is God’s messenger; (2) salat, saying the Islamic prayer five times a day; (3) zakat, giving to the poor and needy; (4) slym, fasting during the month of Ramadan; and (5) haji, making a pilgrimage to the holy city of Mecca at least once in a lifetime. Although in Morocco I only experienced hearing the call to prayer over a minaret’s loudspeaker, I came to see these pillars of faith as similar to various practices of Christian spirituality, as ways of reinforcing a believer’s connections with God (Allah), and as ways that help believers live in accordance with the will of God (Allah). These pillars and practices, in my opinion, also rest on the belief that no one is perfect, that all find it too easy to stray from the path of faithfulness and that all need reminders of God or Allah’s way. 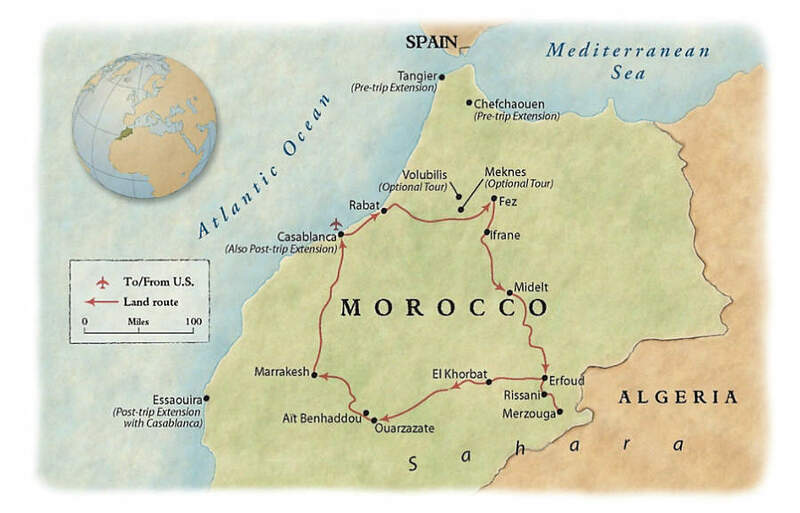 After returning to the U.S., I conducted research and discovered more about the previously mentioned government ministry; Morocco’s positive relations with international anti-terrorism groups; the important Declaration of Marrakesh promoting respect for religious minorities in Muslim countries; the most current U.S. State Department’s assessment of Morocco’s religious freedom; and the nature of current U.S.-Morocco relations. These topics will be explored in subsequent posts. Cuba and Morocco Re-Establish Diplomatic Relations, dwkcommentaries.com (May 7, 2017); U.N. Security Council Orders More Negotiations About the Western Sahara Conflict, dwkcommentaries.com (May 9, 2017). Interfaith Worship Service at Minneapolis’ Westminster Presbyterian Church, dwkcommentaries.com (Dec. 2, 2015); A Christian-Muslim Conversation About Forgiveness, dwkcommentaries.com (May 15, 2017). 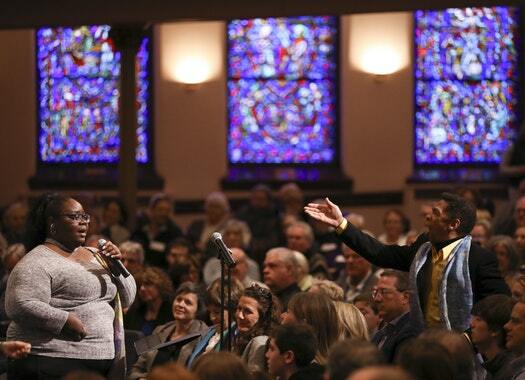 At the center of the March 26, 2017, worship service at Minneapolis’ Westminster Presbyterian Church was a conversation about forgiveness between its Senior Pastor, Rev. Dr. Timothy Hart-Andersen, and Makram El-Amin, the imam of the historic Masjid An-Nur (the Mosque of the Light) in north Minneapolis. The service was opened with an Islamic Call to Prayer by Elijah Muhammad, the Muezzin (the man who calls Muslims to prayer) of Masjid An-Nur. Hart-Andersen: “This morning’s reading of the gospel in both English and Arabic, from the Egyptian Coptic Bible, comes from Luke’s version of the Sermon . . . on the Plain. . . .
As a Westminster member, I am thankful for our encouragement of respect, love and forgiveness for our Muslim brothers and sisters. Makram El-Amin also is a member of the Minneapolis Downtown Clergy group and serves on the advisory board of the Muslim-Christian Dialogue Center at the University of St. Thomas. In 2014 Imam El-Amin was named a Bush Foundation Fellow and received an appointment as Chaplain to the Minneapolis Police Department. In addition, Muezzin Mohammed participated in an interfaith worship service at Westminster, as discussed in a prior post. The bulletin for this worship service and the text of the conversation are available on the Internet.